I've had my parents on Onetel for several years at Praze Farm in Cornwall as they had cheaper line rental and calls than BT. 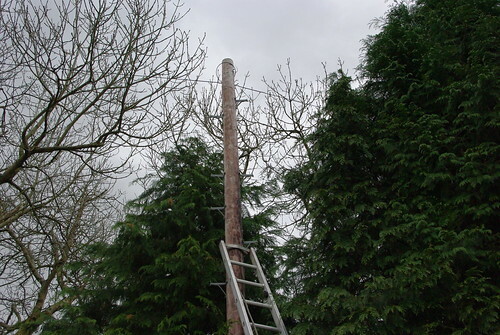 However once we had problems with our line outside the house Onetel proved to be incompetent in handling the BT repair. The first BT engineer arrived (I was not present) said there was no problem. And then said it must be internal and replaced the ADSL filter. My parents were charged almost 100GBP for this callout. There was nothing wrong with the ADSL filter. A few days later the line cut out completely. Again many hours were spent calling Onetel's bewildering customer services (from a mobile) to get an engineer out to fix the problem. This next engineer thankfully found the fault outside on the pole and repaired it. The engineer himself said the previous engineer didn't do his job properly in finding the fault outside. We relayed the message to Onetel saying that we want our 100GBP back. We've called again and again, and even wrote a letter. Onetel says they have passed it on to the right "team" and we will receive a reply. Months have gone by and still no reply. Hence I really recommend you stay clear of Onetel and Talktalk. Now we moved back to BT for line rental. We also moved our mobile contract away from Onetel too. All the money we saved using them probably didn't amount to the 100GBP they took from us.